Up In The Air – Lonely Clooney flies the skies firing people and collecting air miles while actually searching for solace. 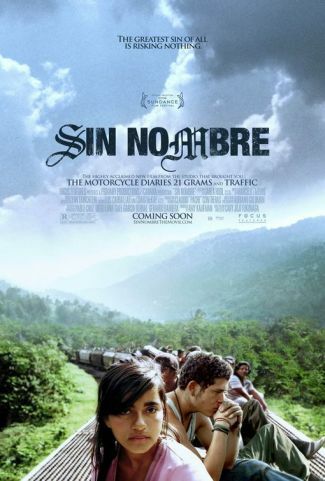 Sin Nombre – A Mexican girl travels north trying to get across the border to the US while a gang chase one of their own. Twilight Samurai – A low level Japanese samurai tries to take care of his family while reluctantly making a living. Goodbye Solo – A taxi driver tries to befriend a man who wishes to die. All award winning and all deserved it. I can’t sleep here so I thought I’d say hello. Long day today and the hangover which kicked in about 8pm rid me of words. Which was a problem as Linden introduced to the art-house glitterati of Berlin. Lots musicians, singers, photographers, comedic actresses who are magnificently over-dressed and under shaved. Two men in berets as well. You know the type. Cashmere scarfs and cigarettes barely smoked as they opine the world. I muddled through after remembering and getting a kick from a full fat coke. Linden sang well tonight. She always can. But she also played some guitar after only learning for a month. She has about 3 chords but had the balls to get on stage and play them even if the chord changes were a touch laboured. I suppose it was endearing! Certainly her group of male acolytes gets bigger every day which makes my position curious to them. My malcontent was self-induced as normal. Too much straight vodka and too little food. My usual combination. But seeing Anissa, a French friend from Paris and hanging out with Linden in a bar/club place was the right introduction to Berlin. It’s an odd city for Europe. A capital city that lacks grandiosity and pretensions. Its visual greyness is enlivened only by the ubiquitous graffiti and shadow lighting of the cafes. Like its reputation, most of Berlin’s good work happens under ground. And down there is the much light. I could barely focus though by 10. And around midnight, my mind closed for the night. Its 2:28am now. I am in bed and writing to you. Its -11C and I am hugging the radiator though. Waiting for tomorrow to come. >Some serious facts here. Good read. Click the title. – Britain’s initially frugal Labour government went on a splurge: the state’s share of GDP has risen from 37% in 2000 to 48% in 2008 to 52% now. – In swathes of northern Britain the state now accounts for a bigger share of the economy than it did in communist countries in the old eastern bloc. So I am off again, tramping to airport, excited and excitable. Hold your eyes if you don’t want to know. First to Berlin for five night to stay with Linden and meet up with Anissa, then with Linden to Israel, Jordan and Egypt to search the sights, ride some horses with Moneim and dive in the waters off Sinai. Linden will then fly back to Germany and I’ll worm my way back to Tel Aviv and London, only to return to Berlin for a Spoon concert and finally back to London…for a breather before I fly to Belfast to see T and out of Dublin after catching up with Joe and Minna before back to Cardiff. It seems like a long time since I have stepped onto a plane for discovery. But it really isn’t. That said, work has become routine, the weather has sucked and the time waited from last summer has drained my heart. I’ve enjoyed it in fundamental ways, come to vital conclusions about my future, felt relaxed with myself and family and longed to be resolve some issues. Having seen so many friends take deep breaths before they state their opinion of their job, qualifying myself in what I enjoy rather than what would set me up seems the only option. I am too soft of heart for anything else. When asked my a friend why I am going, I replied with 6 words; me, discovery, adventure, friends, thought and joy. That’ll do. I’ll let you know how it goes, hopefully in some delayed real-time ma-jigga. > Very glad to hear this. It’s about time. Its pretty galling to get charged for being 3kgs over the weight limit for bags and then watch someone amble onto the plane, rocking from side to side as they do, for they are simply unable to put one leg in front of the other. And then of course, Chubby Sweater has to sit either next to you, with their sheep leg forearms halfway to your groin (nowhere near as fun a a Swedish stripper) or in front of you and put the seat back until all passengers nearby fear for my life. I am no weight fascist (total lie) but I don’t rate the excuses laid out and now defended by self-interested scientists. Almost everything is motivated by the self and conditioned by the environment around them. While it’s not easy for everyone, it is possible and along with all the other costs to society, financial motivation is a remarkable fillet to social responsibility. 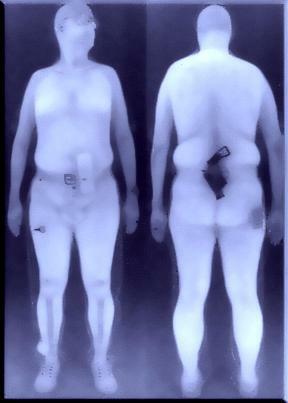 Air France has revealed it may prevent obese economy passengers from boarding its planes for “safety reasons”. It said that, under new rules, if a flight was full an overweight person who did not fit into a single seat might have to take another plane. It made the admission when it said obese people buying two seats for more comfort would be fully reimbursed for the second if the plane was not full. This new rule comes into effect from 1 February. At present Air France offers heavier passengers 25% off the price of buying an adjacent seat, a policy that has been in effect since 2005. The airline said it had no intention of forcing heavier passengers to pay for a second seat. I hadn’t realised until now that I’ve been through one of these. Didn’t fully realise at the time. I was too distracted my taking off my shoes, trying to get my money out of pockets and not drop my phone. Last year, in the line at Heathrow, a well-dressed short official asked me I wanted to cut the queue and use this. I asked what and he pointed to a red box. I looked at it nonchalantly and couldn’t think of a reason why not. Thinking wasn’t on the agenda with my hangover. He positioned me in the box, arms raised to the sides like an Italian salute and left me there for a time, slightly shorter than my cerebral processes take before returning and ushering me into the world vacuous of Duty Free and morose fellow flyers. I didn’t really know what had happened. I am not saying the little fellow didn’t explain. He could have asked me my name and I would probably have struggled out the names Ted or Bob before I got to my own. 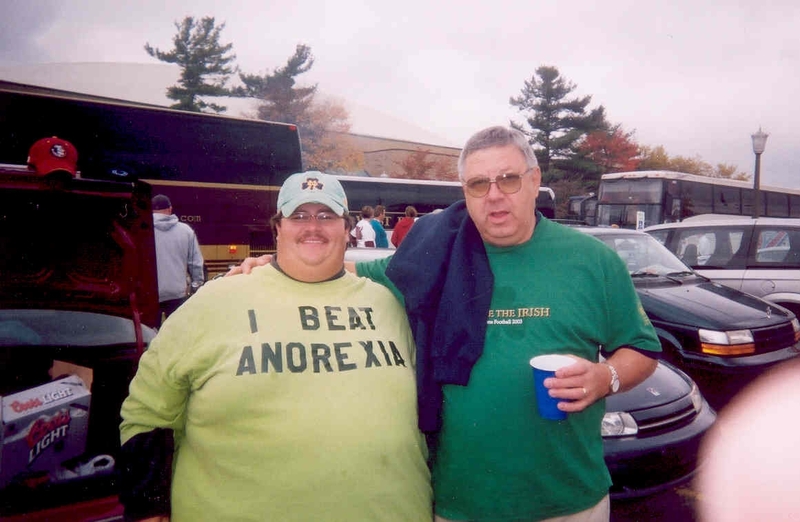 Bill? Only after the recent terrorism attempt in the US and the inevitable forthright statements from desperately serious or seriously desperately politicians and fear-mongering security consultants led to endless footage of scanners did my vague past reveal itself in some form of delayed revelation. I say some form because firstly I screamed Total Recall at the TV. I wasn’t wrong but I could have been righter. Science fiction does have a tendency to often come true. Future engineering builds on past thought and present knowledge. In 2000, I clearly remember walking to an broken escalator at a train station only to see it begin trudging as I approached. I stopped and glanced around for a pleasantly-aged, smiling train station employee, befitted in a navy cap and uniform standing next to a red button. But it is all steel and plastic sheet glass. Rubbish and dust. I was alone in my long shorts and flipflops. A mildly more scientific person would have worked it out immediately. But I, like a rabbit crossing the road mused for a second and then understood I had places to go and science with its conveniences and interventions probably knows what its doing.